The opportunity to immerse yourself in the local culture of an overseas community and gain an understanding of the world in a unique and deeply meaningful way. Travel to India, Thailand, Vietnam, Nepal, Zambia, Belize, Mexico or Guatemala for a 3 week period in University and school breaks. 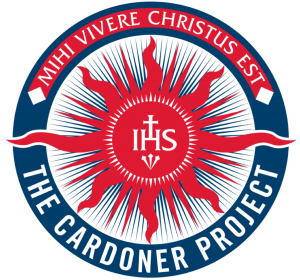 The Cardoner Volunteer Corps is our team of long-term volunteers. Incredible young people who were driven to sacrifice 3, 6 or 12 months of their time to teach English or assist with care for the sick, elderly and those with disabilities. The Two Wolves Community Cantina is our Sydney-based student focused hub for volunteering. This volunteer driven social enterprise restaurant offers a community of support and exposes young people to spiritual growth and leadership opportunities. Express your interest and begin to discover where The Two Wolves Abroad could take you. The Two Wolves Abroad is an initiative of The Cardoner Project, a not-for-profit, student-focused hub for volunteering. The Two Wolves Abroad seeks to serve communities overseas in a manner that express recognition and respect for excluded and disadvantaged groups. From teaching English in Vietnamese or Thai schools, to working with families to build houses in Tijuana, Mexico or Tipling, Nepal, The Cardoner Project aims to build hope in the communities we encounter. In doing so, we also hope our volunteers have profound and transformative experiences.